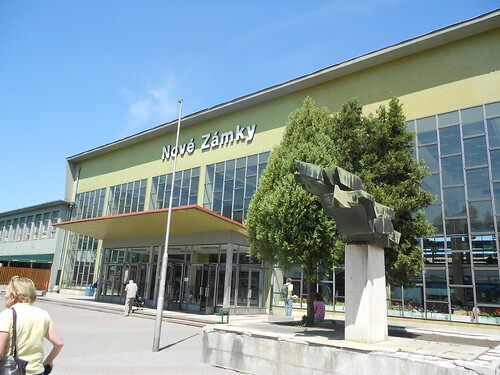 On our way to Budapest, we had a train change in this Slovakian city. We ventured from the station (pictured above) to the town square to enjoy the sunshine and grab a beer. 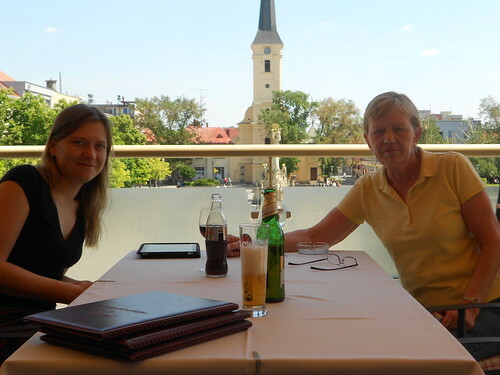 On the advice of our server, I ordered a large bottle of Zlatý Bažant (Golden Pheasant). It's another one of those crazy 12% abv lagers (brewed by Heineken) they hand out like candy in this country. 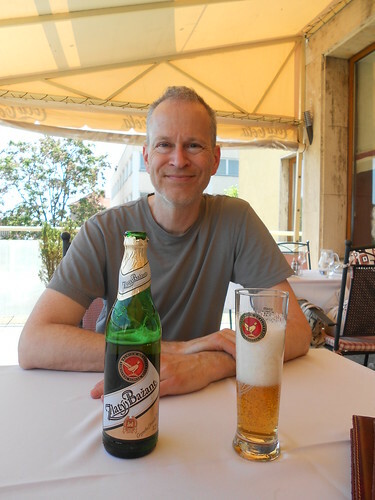 The Slovaks must get tired of the Brits taking cheap Ryanair flights to Bratislava for stag parties, getting blitzed on the beer, and puking all over the town square.